Starting now and going forward I will once in a while post a random blog which i can call it as a “JTN Recommends” which will primarily focus on on the lesser known aspects of a travel photographer’s life – ie a blog post beyond just place to stay and things to see in a given city. It could be about meeting a person or trying out a local speciality food or even a regional/folk music that has caught my attention during my visit to that place. There might be very good chances that there might be few things which might be better in this region than what is mentioned here – but these as i always say “Is My Opinion”. 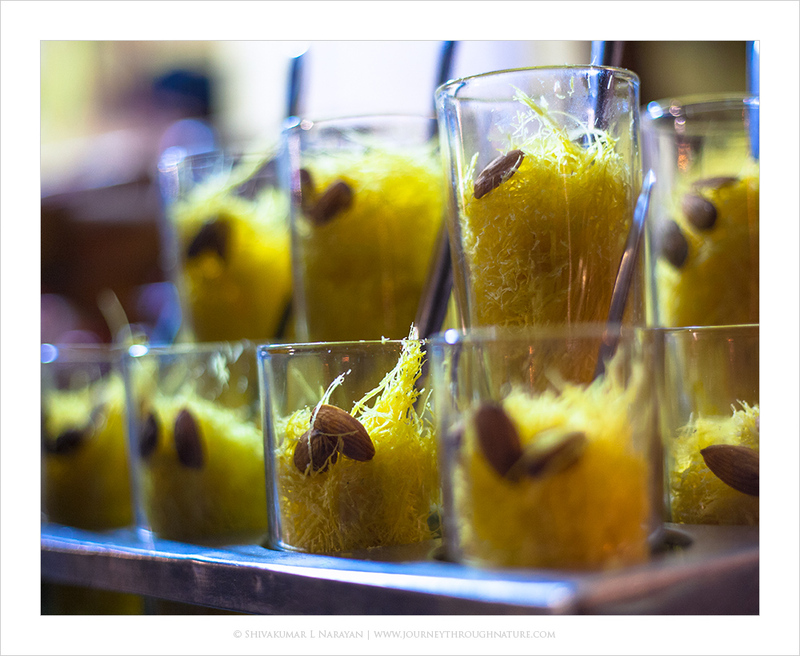 Today’s post will talk about something sweet ( desert ) – Doodh Phirni. Prabhu Tea Stall is a small shop which is hidden within the small lanes which lead to the Sonar Kila of Jaisalmer from the main market area which gets very active once the sun sets in this small town. Its basically a tea shop but the speciality of this place being the fresh and hot Doodh Phrini. Ram Choudry is the main man who runs this shop and he is all charm and energy when you point your camera to him to grab few frames. At first he was a bit shy and was questioning me if i was from some press or tv that am taking photos of his shop. Once i introduced about myself and told where am from and where am heading to, he was very comfortable and that also lead him to start becoming more acrobatic in preparing the desert. Priced at 20INR which is less than 50cents for a glass – this got to be one of the most tastiest phirni you can have in this region. A must for getting you back to your groove in the cold freezing Rajasthan weather. Considering that its made up of milk and topped with fresh cream – this is a powerhouse of calories but on the other hand very addictive too which will not make you limit yourself for just one glass. So next time you are in Jaisalmer, and going for a stroll in the evening, watch out for this shop right in the beginning of the market area towards the right. If any of you are very keen on trying it at home, i found this on the net > Badam Phirni ( via Indian Food Forever ). Jump on for some more images.